What are some of the most important things you’ve learned from having a job of your own? God has used this new job of mine to teach me tons of life-lessons. It has NOT been easy (I’ve had quite a few meltdowns) but looking back on how far God has brought me in my walk with Him, I wouldn’t trade it for anything. I’ve been forced to become more relaxed and confident when dealing with all sorts of people (and often in high-stress situations). I’ve grown tougher skin emotionally, not running off and hiding when my feelings are hurt. And most of all, God has shown me over these past few months (as clearly as if He put up a bunch of neon signs) that He is my all in all. He is enough, in every sense of the word. The books are much better than the movies – very well-written, witty and engaging. The character development is phenomenal. Because Rowling had 7 huge books (some bigger than Les Miserables) in which to develop her characters, she developed dozens more characters than most writers have the time to develop. I am so attached to everyone! I do think that the bad guy in HP (though creepy) is not as powerful a bad guy as I’m used to in many fantasy stories, which is a bit of a disappointment. Also, the magic in HP is less of the jaw-dropping, awe-inspiring magic that Aslan and Gandalf use in The Chronicles of Narnia and The Lord of the Rings. It’s more…I don’t know, trite or juvenile. And of course there are some elements in the story that I wish Rowling would have left out, or word choices that I thought could have been more tactful, such as: why call the HP magic “witchcraft” if it’s so obviously not witchcraft? It’s no different from the magic in Narnia or Lord of the Rings – I really wish Rowling wouldn’t have associated her fantasy magic with images/words we associate with evil. So I’m not sure that I would recommend it for everyone, but personally, I’m really enjoying my first read-through of Harry Potter! What is one thing you learned from the adoption process in your family? How has it changed you or molded your perspective on family life? Great question! I don’t think I’ve ever been asked this before. One thing that I’ve learned through our adoption process is that the love in your heart doesn’t divide when you add new people to the family – it multiplies! And as for how it’s changed my perspective on family life, I believe that adopting two new sisters when I was ten helped me not to become apathetic. It might have been very easy for me to sink into the comfort of being part of a family where nothing challenged me. Keeping up with two little sisters has forced me to step up to the plate in a really good way, I think. I’m going to give you the same question you gave ME on my post (*wink*): If you could only read TEN books/series for the rest of your life, which 10 would they be? 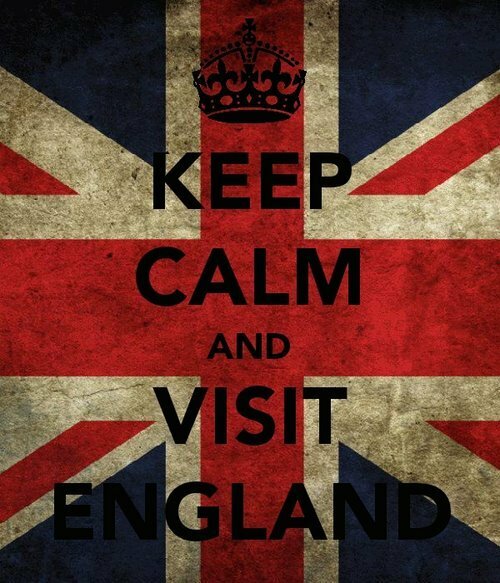 If you could pick ONE thing that you’re most excited about regarding your trip to England, what would it be? Oh my GOODNESS! And I thought I was cruel when I asked you the 10-books question! 😉 This is impossibly hard, since I am ecstatic about every single aspect of the Europe trip. But I shall do my best to choose one…oh goodness…hmm…I guess I’m most excited about Paris. I’ve always dreamed of going to Paris and trying to survive on my limited French; trying the pastries; looking out over the city from the Eiffel Tower. I can’t wait!!! If you could live in a place from a book (i.e. Baker Street, The Burrow, Hobbiton, etc. ), where would it be? I love all of the settings for my favorite books! It’s so hard to think of choosing between them, but I would definitely choose to live in Hobbiton. Even aside from the fact that it’s in Middle Earth, and that Gandalf might drop in for tea at any time, it’s such a “heaven-on-earth” place in my mind. I love the rolling hills, the fields, endless rounds of birthday parties, abundant food, and overall peace. I honestly think of Hobbiton when I think of what Heaven will be like. Sherlock Holmes – He is mind-blowingly awesome. No further explanation needed. Aragorn/Strider (The Lord of the Rings) – Confidence, courage, nobility, honor, kingly lineage and strength of character – all hidden under a scruffy, weather-beaten exterior. Gandalf (The Hobbit, The Lord of the Rings) – Gandalf is one of my oldest literary friends – I met him on Bilbo’s doorstep when I was eight years old. Little did I know that behind the bushy eyebrows and twinkling eyes lay ages of wisdom and power that I never could have fathomed. Henry York (100 Cupboards) – I never get tired of Henry’s journey from a timid child to a powerful, confident hero. (In fact, I read the trilogy three times in one year.) He is extremely real, and Wilson’s warts-and-all portrayal of Henry helped me to relate to, and eventually love and admire the boy from Boston. And he has some of the best quotes ever. 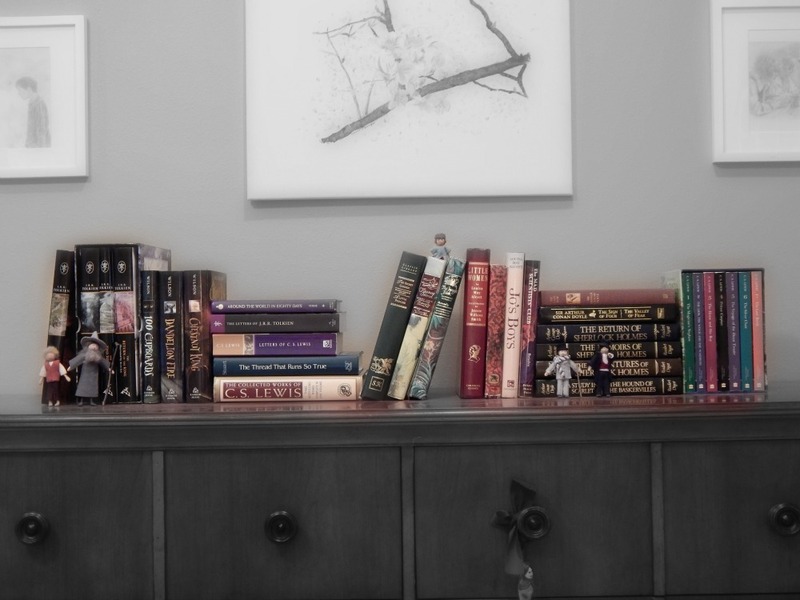 Frank Willis (100 Cupboards) – Like I did upon first meeting Gandalf, I completely underestimated Uncle Frank when I read the series for the first time. I love that Frank never feels the need to fill silences, used to play baseball, loves his family intensely, and turns out to have a more rich, deep history than could ever be guessed just from looking at him. Edmund Pevensie (The Chronicles of Narnia) – Edmund’s journey from brat, to traitor, to hero and eventually king is one that never ceases to move me. I see so much of myself in Edmund’s story – a traitor and sinner who didn’t deserve to live, and yet has been forgiven and loved. Much of the inspiration for my Narnian short story came from my fascination with Edmund. Charles Moody (the Little Britches series) – Meet my one literary hero who isn’t fictional. Charles Moody is the father of the author of Little Britches, Ralph Moody. If you’ve never read the Little Britches series, well, go forth and sin no more. Yes, there’s a bit of language when the cowboys ride into town, but don’t dare let that stop you; it’s nothing a little white-out can’t handle. If you are ever in need of a role-model encompassing unbelievably wise father, incredible Christian, and all-around honorable man, look no further than Charles Moody. Harry Potter – Unlike Aragorn or Charles Moody, Harry hasn’t “arrived” at the ideal hero standard when the story begins. But he honestly and doggedly tries to do what is right, even when he falls down a hundred times in the process. Harry always picks himself up and tries again – the mark of a true hero. Mr. Knightly (Jane Austen’s Emma) – Mr. Knightly is another of those extremely real characters. He does have his faults, but his heart is absolutely in the right place. I love Knightly’s honesty, sincerity, gentleness, consideration, and earnest desire to do what’s right. And who else would voluntarily go to visit with Miss Bates? 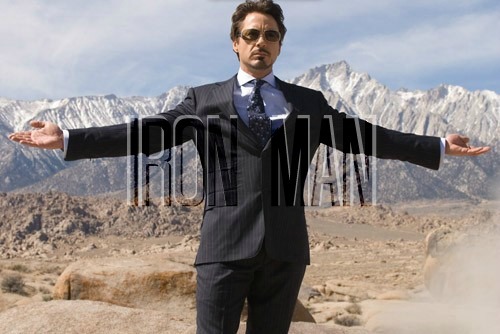 The first Iron Man, without a doubt. A lot of people might be surprised at that answer, since my favorite books are either classics or classic fantasy. But the story of Iron Man fascinates me. (I watch this movie edited for a few inappropriate scenes and language.) I just love the idea of a self-indulgent, rich brat making a complete 180 and becoming a hero willing to risk everything for the sake of others. Tony Stark is so layered and deep – one minute he’ll be goofing off, being sarcastic and giving people a hard time. The next minute, all flippancy disappears and you see an unexpected strength and seriousness in Stark’s character. Plus, he’s absolutely hilarious. How many blog posts have you put up? This is my 43rd post! What are your 3 most favorite cooking things? (Note: This is my little sister’s way of saying “recipes”.) I love to cook all kinds of things. But my favorite recipes are chicken Parmesan, chocolate cake, and fajitas. What were some of your favorite books or book series to read as a young child? As a really, really little girl I wanted to read Cookie’s Week by Tomie DePaola over and over. My other favorites were the Little House picture books illustrated by Doris Ettlinger and Renee Graef. Pepsi or Coke? Coke! Though now that I found out that I’m allergic to corn products (including corn syrup), I haven’t even tasted Coke for a few years. Reading or writing? And I thought Maribeth’s questions were the hardest in the world!! Well, though I don’t think I could live for long without a combination of both writing and reading, I think that if I HAD to choose one or the other, I’d have to go with reading. After all, extensive reading is the only reason I’ve been able to write any of my stories. All good writing comes back to lots of good reading. If you could pick one book that best relates to your life, what book would that be and why? The Bible is a given, of course! 🙂 But if we’re talking about fiction books, I think that Enemy Brothers is the book that has helped me so much practically, as an older sister and as a Christian. And if we’re talking about non-fiction books, It’s (Not) That Complicated has been a huge help to me, and is especially helpful at this point in my life. Thanks to everyone who asked me such fun questions! I had a blast putting together this post. I hope that you enjoyed reading my answers as much as I’ve enjoyed writing them! 1) Isn’t it great when we learn so many good lessons even in uncomfortable situations? I’m so glad you’re flourishing in your new job! 4) Hehe, gave you a taste of your own medicine, did I? (*wink*) And that’s okay, I didn’t mind putting the Bible in my top 10 at all! Thanks for liking my post, commenting on it, and most of all – inspiring it! 😀 I loved all of the replies you made in your comment. 😉 Thanks again, Maribeth! Of course! I love your blog!! I’m very pleased that you have discovered Constance Savery and, especially, Enemy Brothers. If you haven’t done so, please check out the constancesavery website. There are at least two other Savery titles with a brother who shows unconditional love: Emeralds for the King (Green Emeralds for the King, if you are lucky enough to find it) and Blue Fields. Happy reading! It’s great to hear from you again! I remember being SO excited when you commented on my old, now-retired Hopewriter blog a few years ago. It’s so rare to meet a fellow Savery fan, and especially one who is as serious a fan as yourself. Did you ever get to make that trip over to Europe to visit Savery’s relative, or godchild? I also seem to remember you saying that you were writing a biography on Constance Savery. Please let me know as soon as it is available – I will definitely read it! If you go to the constancesavery web site and click on “Books”, and then click on “pounds sterling”, you will find a reasonably complete list of what Savery titles are currently available (principally from AbeBooks). Prices in dollars are about two-thirds of those in pounds. There is also a dollar listing, but it is rather out of date. You are more likely, obviously, to find Savery titles from British publishers in England, but shopping online is still the best bet. Constance’s goddaughter, Mrs Hummerstone, welcomed me into her home in 2006, 2010, and 2011. She died suddenly in October of ’11, but her husband continues to help me with my research, and I was visiting him this summer when he found another box full of Savery correspondence, 400 to 500 letters in all, including 150 from the three years (1917-1920) that she was attending Somerville College at Oxford University. The letters form a virtual diary of her time there and are supplemented by her mother’s replies. It is quite a treasure trove! The biography was about two-thirds complete when I began my trip. I was able to interview some neighbors who knew the Savery sisters in the 1980s. which will help me to flesh out that period. Obviously I have some rewriting to do as well! I think that as long as Enemy Brothers, especially, remains in print and is recommended to home-schoolers, there will be a small cadre of Savery fans to keep her name alive. Thank you for being one of them! Do you read Elizabeth Goudge? Like Savery, she has a Christian perspective and prizes reconciliation over retribution and shows great insight into the human heart. If you haven’t read her, try The Dean’s Watch as an introduction. My personal favorite is The Scent of Water, but her best-known book was Green Dolphin Street. She writes for adults, not children, but children who read her books will come to no harm. I went to your website, and was so pleased to find by far the most informative website on Savery that I’ve ever seen! Thank you so much for the tips on where to find her books. Wow, 500 letters?? Finding that must have made you feel as if Christmas came early! How I’d love to read those letters. I wonder if a compilation (in book form) will ever be made of her letters. And I definitely can’t wait to read the biography you’re writing! I can’t claim any credit for being a Savery fan – I just love really, really good stories and hers are some of the best. 🙂 I only hope that more people start reading her works, so that some of her stories might be reprinted! Thanks so much for the Goudge recommendation. I’ll definitely look into that. Thank you so much for taking the time to answer all of my questions! I truly appreciate it! Thank you so much for your kind words about my website! I have been busy transcribing Savery’s letters since I returned from England and have typed 136 of them as of last night, which brings me to the end of her second year at Oxford. A typical letter begins, “My dearest Mother, nothing much has happened this week!” followed by a 500 to 600-word account of her activities for the last two to four days. Her mother wasn’t interested in Middle English Literature or the Anglo-Saxon language, so the letters rarely refer to the content of the lectures she is hearing, but there is a great deal about the idiosyncrasies of her classmates and the college Dons. I’m sure a publisher could be found for the Oxford letters, but as they have been unpublished for over ninety years, I trust the public can wait for my biography before they get to read them all. It isn’t really my decision. The content of the letters, the copyright, is the property of Savery’s literary heir, the Rev’d Jeremy Hummerstone, and the letters themselves are promised to the Somerville Library after they are transcribed. The library will receive my transcriptions along with the letters. Savery’s short stories are even harder to find than her books, but one of them, The Little Dragon, has just reappeared in a Dover Publications reprint of “Just for Fun”, an anthology of children’s stories illustrated by Robert Lawson, who is listed as the “author”. You can find it at if you are interested, where it costs less than most of the AbeBook.com listings. Oops. After the words “You can find it at…”, your editor, as I should have anticipated, has removed my reference to the Dover Publications web site, but Google will find it for you. I happen to be reading Harry Potter at the moment, as well. My background, and reaction, has been much the same. Like you, I wish she’d skip the witchcraft thing, but I’ve found there was surprising depth, especially in how she dealt with love. I’m not entirely sold, but the conclusion to Prisoner of Azkaban was pretty great. I think the character development is very good in some cases, but Draco, Snape, and the Dursleys are starting to get on my nerves. Obviously, you can’t do anything with the Dursleys, they’re caricatures, but the other two feel like they need to be less…stock villains. And…longer than Les Miserables??? I just finished that monster, and it was at least 959 pages. The abridged version is much shorter, of course, though lacking the wide-screen Hugo vision. The longest Harry Potter is what…800 some pages? The ’40s were particularly awesome, despite the lack of Chesterton by four years. As someone who has read all seven Potter books (and loved every paragraph of them), my advice is definitely to keep reading! Starting with books four and five, the “annoying” characters you’ve mentioned start to have more depth and get less annoying (yes, even the Dursleys… well, to some extent, anyway :)). I’ve been watching them as I go…and as I love British actors, it’s been lots of fun. Maggie Smith. Kenneth Branagh. Alan Rickman. Emma Thompson. It doesn’t get better than that. I’m just now getting into Chesterton. Which books of his do you recommend? Thanks again for taking the time to comment! Ah…Chesterton. Where does one start? His theology books are fun, but a bit heavy. It’s like C.S. Lewis condensed. It’s hard to say because all his stories are informed by his ideas, but his ideas can be a little intimidating to start off with. He wrote a series of detective stories about Father Brown which were great. The Innocence of Father Brown is the first, and the copyright’s run out so you can get in free on Kindle. Also, a kind of crazy spy novel called The Man Who Was Thursday…and a whimsical tale called Manalive. Everything Chesterton wrote was full of whimsy…so you can’t take it too seriously, but it’s tremendous fun, and he had a great zest for life that manifests itself through his extravagant, beautiful description. As for his theology books, Orthodoxy is a good start. You have to stick with it and skim a bit, but the ideas are fascinating and have been very formative for my worldview. It was Rich Mullins’s favorite book. Obviously, I’m a bit of a fan.